There are 9,800 items available. Please enter a number less than or equal to 9,800. 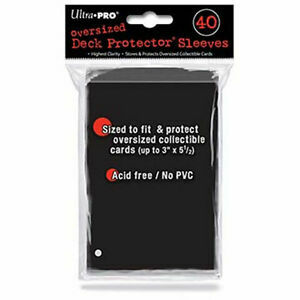 UltraPro's have been good to me over the years, so as long as these sleeves are made with the same quality as their normal-sized sleeves, they will last you a long time! There really isn't much to say about sleeves. Unless they start breaking after a few uses, they will stay with you for a while until they get too grimy. Just one small thing that I didn't realize when buying these: they are side-loaders instead of top-loaders. 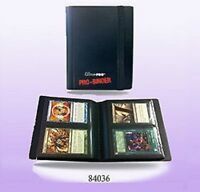 This makes for better utilization with Planechase cards, but not as much for Commander Oversized cards. 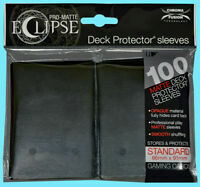 Thanks for the sleeve protectors, I've needed them to play my planeschase cards. Now my friends and I can have fun. Chaos filled magic fun. These are side loading but seem durable. I don't like how they open at the sides instead of the top, but they're cheap.